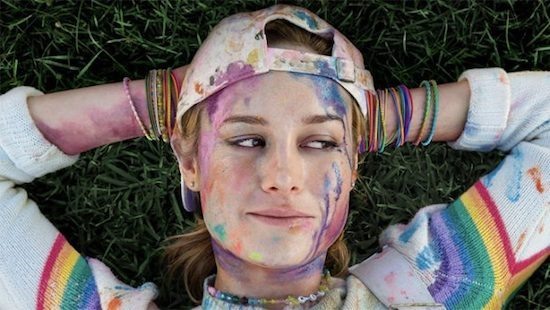 Springtime colors with Brie Larson on Netflix in April 2019 with Smart DNS Proxy. Springtime streaming has come to Netflix (at least in some areas of the world) and it is time to grab your remote or a mouse, make some popcorn and take a look at this month’s offer from the streaming giant. And there are quite a lot of good things to choose from. As every month, Netflix will bring you a handful of its original programs and many movies and shows that you might have missed or which are definitely worth revisiting. Below, you can find a few picks of ours that may grab your attention. Unicorn Store (Netflix Original) – a directorial debut of Brie Larson (interestingly, you will also see her along with Samuel L. Jackson – a duo we all know from the recent Marvel hit, Captain Marvel). An Oscar-winning actress tries her hand at a comedy. Ultraman (Netflix Original) – an anime based on the 1960 Japanese pop culture classic. I Am Legend – a very successful 2007 post-apocalyptic drama with a very powerful performance of Will Smith and incredible cinematography of deserted New York City. The Hateful Eight – extended version of the Oscar-winning, eighth film of Quentin Tarantino set in the wintry Wyoming landscape filled with Tarantino’s signature actors (Samuel L. Jackson, Tim Roth and Michael Madsen among others) and made in Tarantino’s signature style. Our Planet – David Attenborough-narrated Netflix Original documentary from the makers of Blue Planet with incredible cinematography focusing on the diversity of the Earth’s habitats. An amazing journey from the Arctic wilderness, deep oceans, landscapes of Africa and jungles of South America. There are a couple shows that will be leaving the service in April. Catch them while you still can. One thing to bear in mind – access to Netflix, just like to many other services, is geographically restricted but all those shows can be made available with Smart DNS Proxy. Our technology allows you to watch the best movies and shows from numerous streaming platforms from around the world and using numerous devices. Join us and binge your favorite series, catch up with movies that you missed or revisit the best classics.